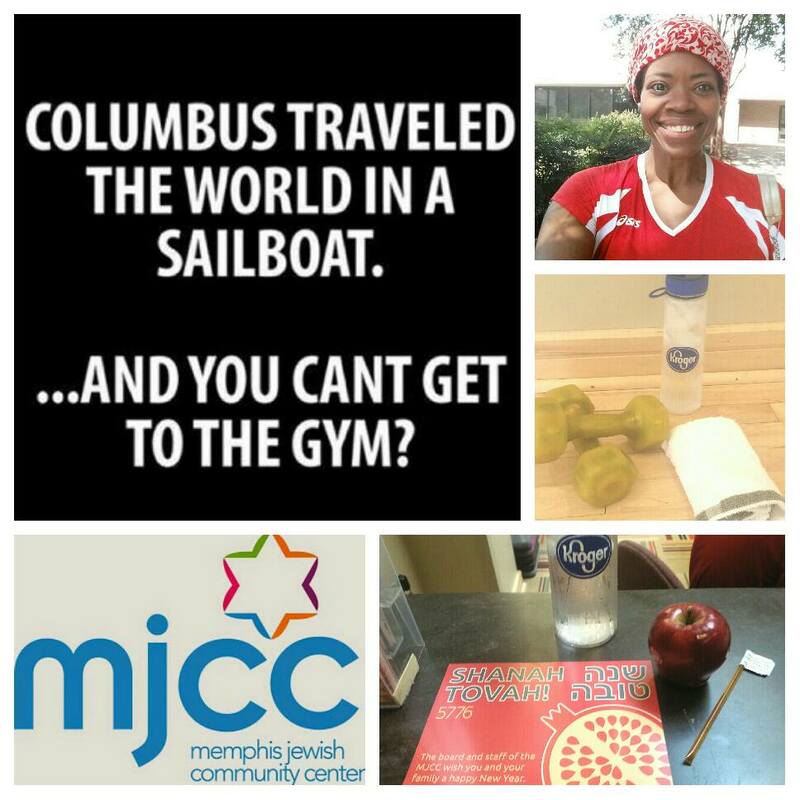 I didn’t feel like going to the gym today due to it being closed the past 2 days for Rosh Hashanah (Jewish New Year). I make no excuses when it comes to my fitness because I did manage to get a 7 mile run in on Sunday morning before church and a 3.5 mile pub run on yesterday. Honestly, today I just didn’t feel like being there. So I managed to put on my workout clothes and when I arrived at the center, I was greeted by a friendly smile along with an apple, a honey stick and a Shanah Tovah (hebrew for have a good year.) Eating apples dipped in honey is symbolic of a sweet new year. While I’m not Jewish, this kind gesture brought a smile to my face and turned my entire attitude around. I thought about it. I have had a very good year and a lot to be thankful for. I’m in my right mind and I have my health and my strength. I’m able to cross train my body, run and I’m injury, medication, and disease free. I’m connecting with people all around the world sharing how they too can become fit and finally free. If I want to see results and bring about a change, I have to leave the excuses and my feelings at the door. Question: “What’s stopping you from walking through your door?” Find your sweet spot. Your freedom is on the other side. Next postWill Run for Chicken!